Your new album Fall feels a lot more aggressive and full than your 2014 debut Sighs. What inspired this sonic evolution? Finding a permanent drummer after having to play with fill-ins for a year-and-a-half, probably. Sighs was just me and Lysa, and we hadn’t yet played a ton of shows. We found Scotty at the end of 2013 and did a bit of touring in 2014, and things came together during that time. After that, we lost Scotty and found Nick who’s a more aggressive drummer. The guitars are thicker and heavier, but it’s mostly in the drums. What feelings, events, people and/or records worked as a source of inspiration for Fall? I’m not really sure. We like Ride a lot, obviously. The song “Gardener’s Bell” is named after Marc Gardener and Andy Bell from Ride, only because it sounded like a bit of a rip-off to me when it was demoed. The Dandy Warhols already have their own Ride rip-off called “Ride,” so it couldn’t be called that. It was meant to be only a placeholder. I would’ve renamed it had I known they’d be back with a new record out the same month as our [record]. Not that it matters at all. There are a lot more distorted guitars on this new record, what gear left your rig and what found its place in it between 2014 and 2017? I have two guitars, both Jazzmasters. One’s a Squier J Mascis model, and the other is a Mexican Fender. The amp I use is a VOX AC-15. 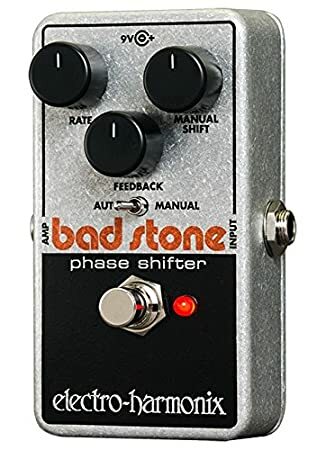 I currently use four pedals: an MXR Carbon Copy delay pedal, a Line 6 delay/loop pedal, BOSS overdrive/distortion, and an Electro-Harmonix Bad Stone phaser. I used to have two Danelectro pedals, a phaser and a tremolo, but they fell out of the chain. They sound great but they’re not very durable. I tend to use the two delay pedals in tandem with each other to make the guitar sound bigger. The Line 6 gets used for loops and noise samples for segues between songs. The overdrive is self-explanatory. Tom Unish (of Headgear Recording) and Tom Beaujour (of Nuthouse Recording) have both been very helpful in getting us to where we are now, in both the studio and live realms. Tom Unish did the first record and Tom Beaujour, the second, and they’ve both played the second guitar with the band on different occasions. I wish one of them could join but they’ve got real jobs. Having to coexist with a work in progress is difficult sometimes. The slightest imperfections can send me into a tailspin even though I know they can be fixed. I’ve made a few records and I still have to stop and remind myself that there is work to be done as I listen to the unfinished recording. It never ends. On the other hand, I have very distinct memories of walking home from the train while listening to mixes of some of these new songs and feeling pretty great about them. Knowing that we put a lot of work into something and being satisfied with it afterward is a joy. What other NJ based artists’ music do you enjoy these days? The Rock N’ Roll Hi-Fives, Pioneer the Eel, Sean Kiely, Black Wail, Desir Decir, Shithead Rainbow, Wreaths, Gods, Sunshine & the Rain, Rye Coalition, Screaming Females, Bruce Springsteen, Frank Sinatra.